Last Friday I attended an IT conference in Portoroz, Slovenia. It is called Days of Slovenian Informatics and spans over three days. Unfortunately I only had time to participate on Friday. 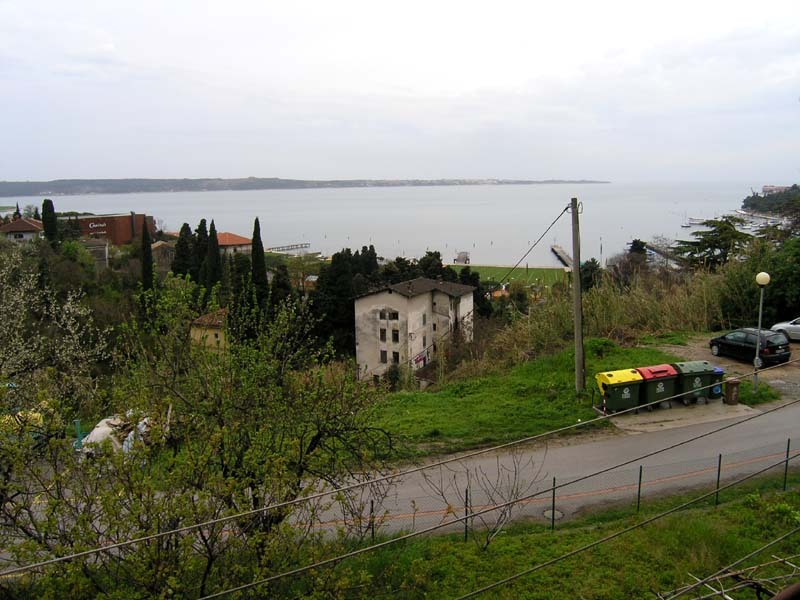 I arrived to Portoroz late on Thursday and joined a conference party, which was sponsored by the company I work for. First we had dinner on a tourist boat and then continued in a nearby cafe. The boat made a slow circle off the Slovenian coast and in the meantime we enjoyed some fish and some surprisingly drinkable wine. It was an all you can eat/drink kind of supper. I really love fish, so I took advantage of the situation. However, I went easy on the wine. I had to drive a couple of kilometers to a villa, where I arranged a place to stay over the night. This time I had a whole villa for myself. This sounds very fancy, but in fact it was a free of charge kind of arrangement. A colleague of mine inherited this villa a couple of years ago. No one has been living there for the last couple of years, because it badly needs renovation but he can't afford it at the moment. So with a use of my sleeping bag it was a really pleasant place to stay. I woke up to enjoy a cute view of the Portoroz beach from the balcony. The weather wasn't something to write home about, but I enjoyed the view anyway. 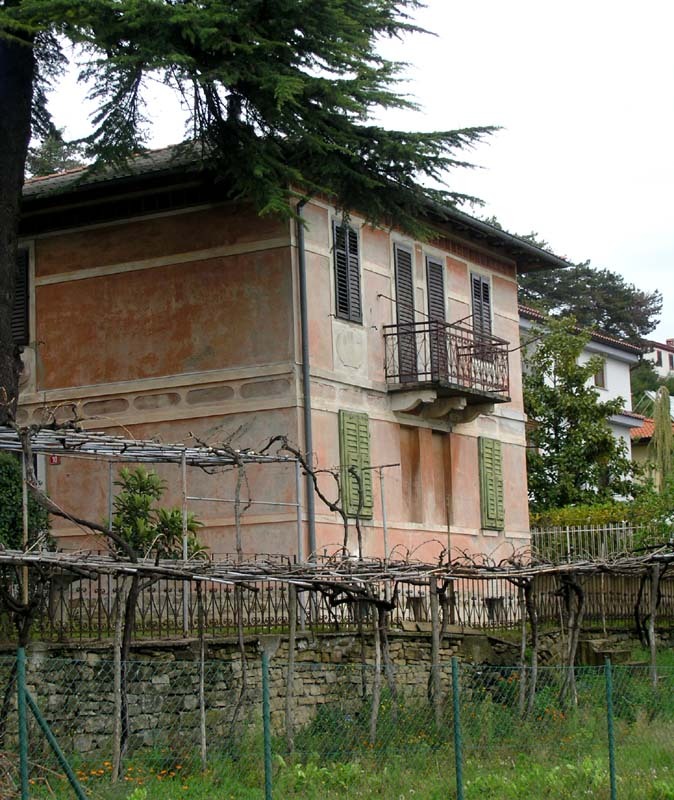 The location of this old villa really is superb! 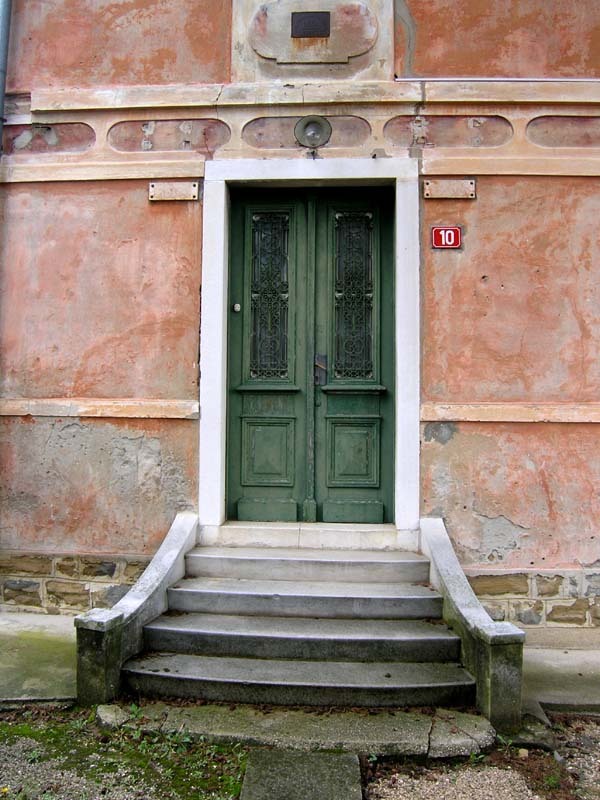 It was built in traditional style and therefore it still looks really nice (there is a year 1831 written on a metal plate, fixed to the front of the house). Unfortunately time took its tool and adaptation of this thing would be a real trouble. That is why its owner is thinking of pulling it down and building something else from scratch.